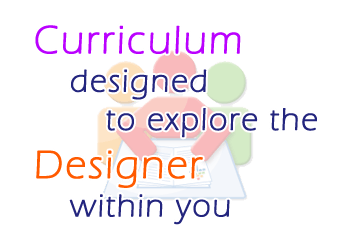 Waves Institute has a unique syllabus which helps you to explore the designer within yourself. WIFD believes in practical based learning and we focus on to practicals right from the 2nd month onwards till the end of the curriculum providing students hands-on experience to help them recognize their true potential and develop their aptitude in their area of expertise. This curriculum covers every aspect of designing from the source of inspiration to the production of the original prototype. By the end of the course, each student would be able to develop a strong basis of their skill sets and will be capable of exploring the imagination and executing their own designs. The overarching goal of the designing programme is to offer theory and practical workshops and to keep the course interesting with funfilled activities like group discussion, brainstorming, seminars, interactive sessions which is specially created for people seeking careers as Fashion Designers, Professional Designers, Fashion Coordinators / Stylist, Pattern Makers, Sketching Assistants, Fashion Merchandiser, Fashion Illustrator and for the people who want to establish their own fashion identity or business. It is basically the foundational idea that provides a design, its meaning, depth and guidance. Learn how the clothing evolved from a bare necessity to a highly fashionable trend. The history of fashion has respective relevance for everyone. A visual representation of concepts, designs, patterns on paper. The major bridge between design and production. Pattern making is the art of drafting a design on paper before it goes into production. 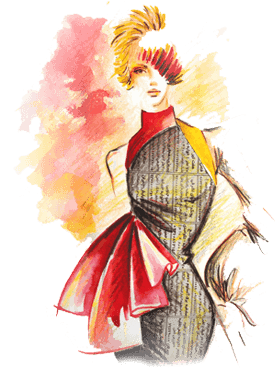 The process of cutting fabric according to the pattern and joining together by sewing to form a complete garment. Learn the various stages undergone in the production of a garment in garment industry. It includes the step by step procedure involved in garment construction right from the initial stages of purchasing raw materials. Learn different types of traditional embroideries.